Wildpack Junior comes in 5 cute designs as a backpack and trolley with adjustable handle. 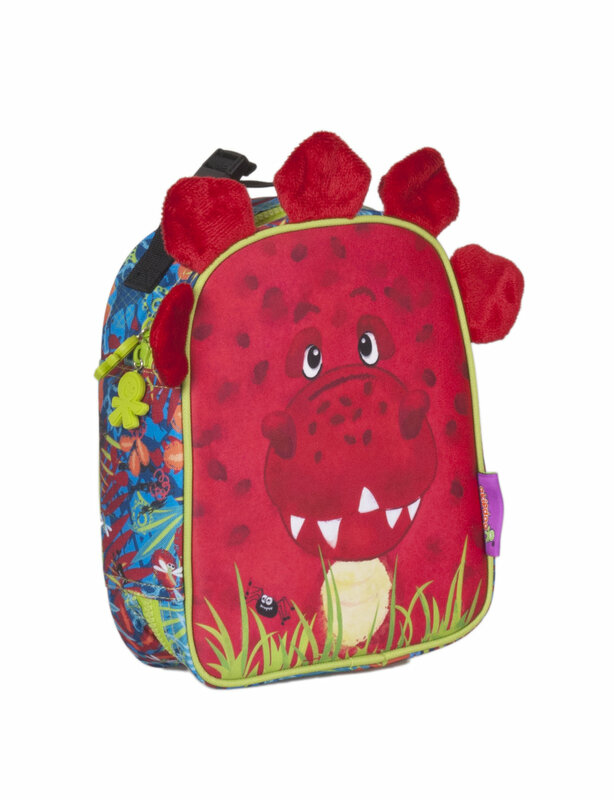 The Wildpack Junior backpack is 25 cm wide, 12.5 cm deep and 28 cm high. The Wildpack trolley is not only cute but also very functional. The adjustable handle, the mesh pocket for bottles and other accessories and the carrying grip make the Wildpack Junior trolley a very functional bag for kids 3 to 7. 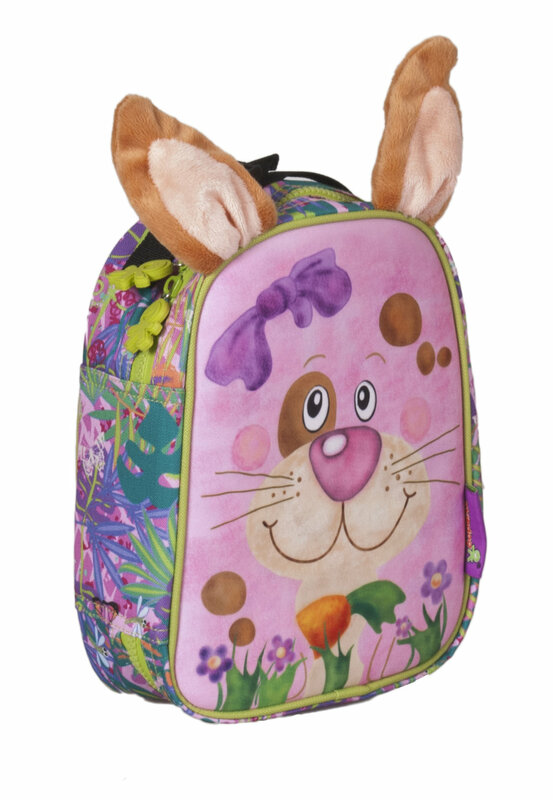 The Wildpack Junior lunch bag is a great addition to either the backpack or the trolley. It takes up very little space when folded, but expands to a large size that can hold a snacks and lunch for school. The lunch bag is insulated and is 21 cm wide, 8 cm deep and 23.5 cm high. The Wildpack Junior snack bag comes in two great sizes, sold a set, for small snacks. Easy to clean PEVA lining, water resistant, easy to open thanks to big zipper pullers and of course PVC, AZO, BPA and phalatefree. The snack bag is a must have accessory for all kids.